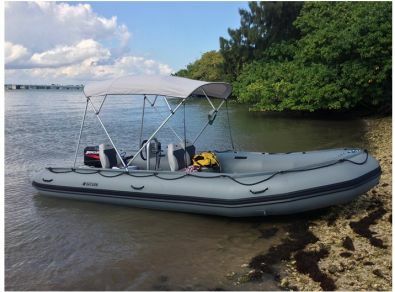 The 18 feet inflatable boat SATURN SD518 is a heavy-duty workboat excellent for any water based activity, such as fishing, day trips or scuba diving. 18' SATURN SD518 inflatable boats are made with premium quality materials, and can handle up to a maximum of 10 persons. 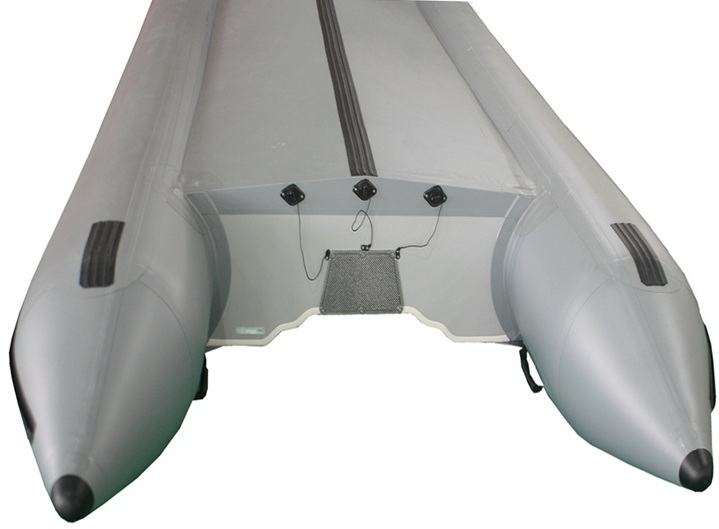 Deflated, the SD518 boat will fold to the size of one large and heavy bag with tubes and another large and heavy flat bag with a floor. 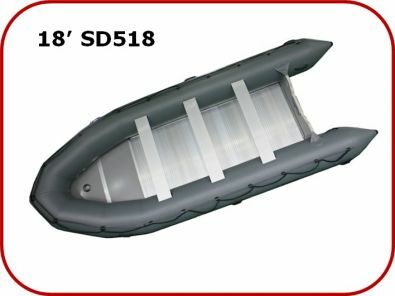 Once deflated and folded, the SD518 can be stored in the back of your SUV or minivan, large closet of your apartment or in a garage. 18' SD518 inflatable motor boats come equipped with with a sectional heavy-duty aluminum floor. The bow section is made of a marine grade plywood floor covered with a gray resin. 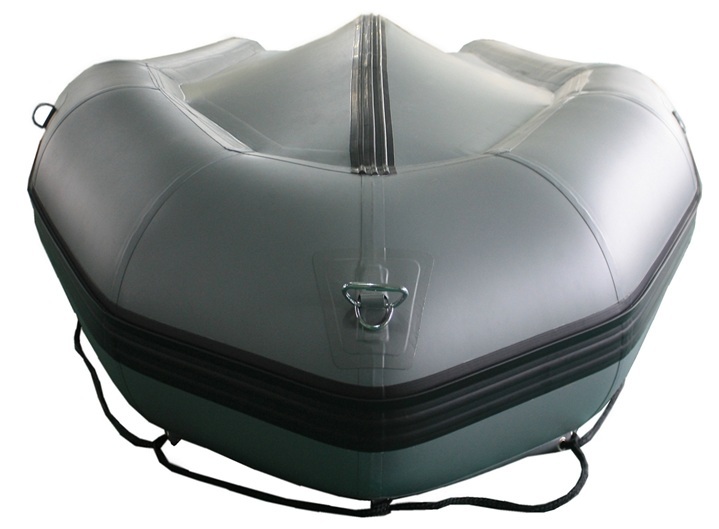 Tube Shipping Size: 59 x 29 x 14"
Floor Shipping Size: 48 x 28 x 12"
Inflation & Assembly: 45 min. 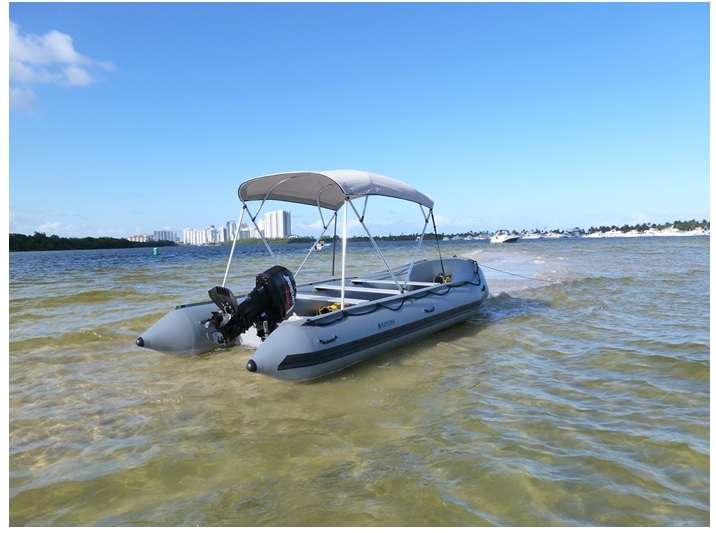 "Purchased last year and very happy. Using with 9.9 Mercury. I am not looking for speed. 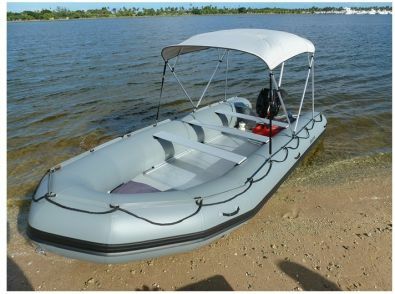 Very comfortable fishing for 4 people. 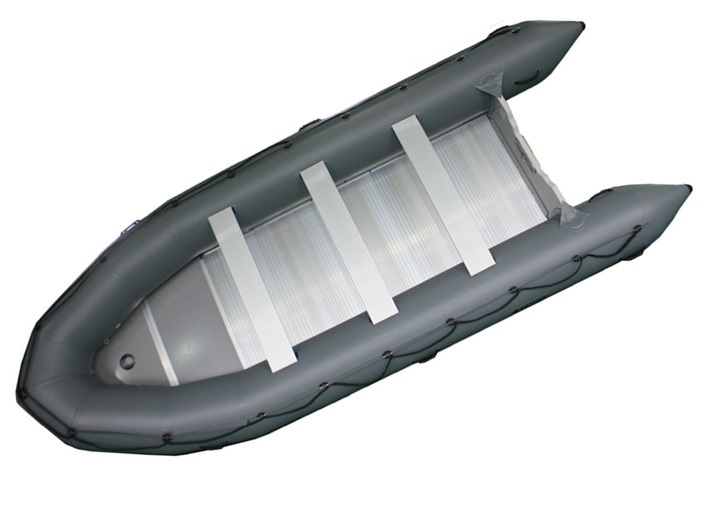 Using on lake Ontario."